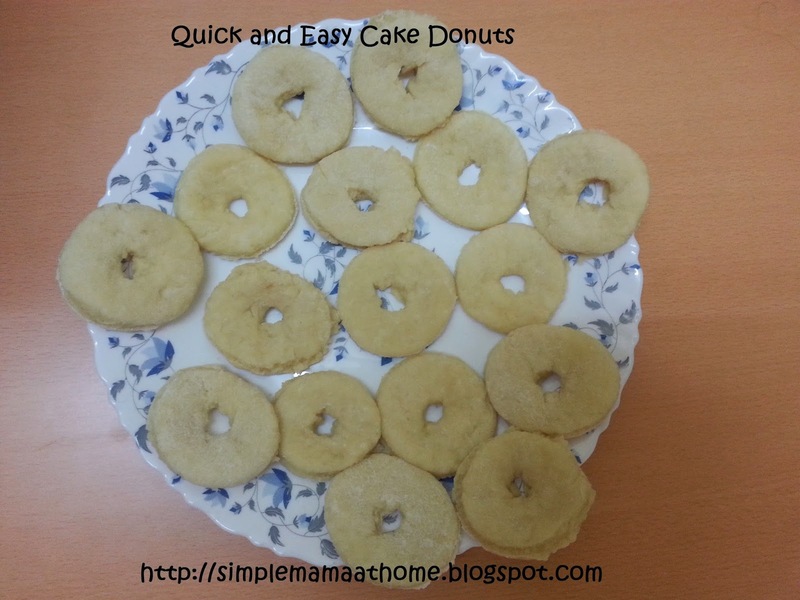 If you happen to be looking for a tasty no bake donut recipe then this is the one. These donuts are quick and easy to make.You most likely have all the ingredients on hand already. These donuts are more of a fluffy cake like texture and are not doughy at all. * Oil to deep fry the donuts. 1. Add vinegar to milk and stir. Set aside. 2. In a medium sized bowl cream together butter and sugar until smooth. Add the egg and vanilla and beat until well blended. 3. In a separate bowl add the flour, baking soda, and salt. Mix. Add one third of the flour mixture to the wet mixture. Then add one third of the milk and vinegar mixing well. Repeat two more times until all is mixed. 4. 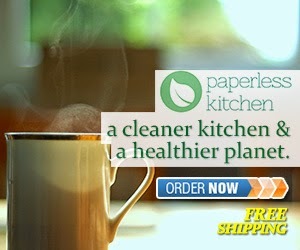 Sprinkle some flour onto a flat surface and roll out dough to about 1/3 inch thick. Using a donut cutter cut in donut shapes. Leave for about 12 minutes. * Worth mentioning here that I did not have a donut cutter. I used a glass for the outside circle and then just poked a hole on the inside using my fingers. I'm a great savory cook put a terrible pastry chef. I think I could do these ... thanks! Those look so delicious! 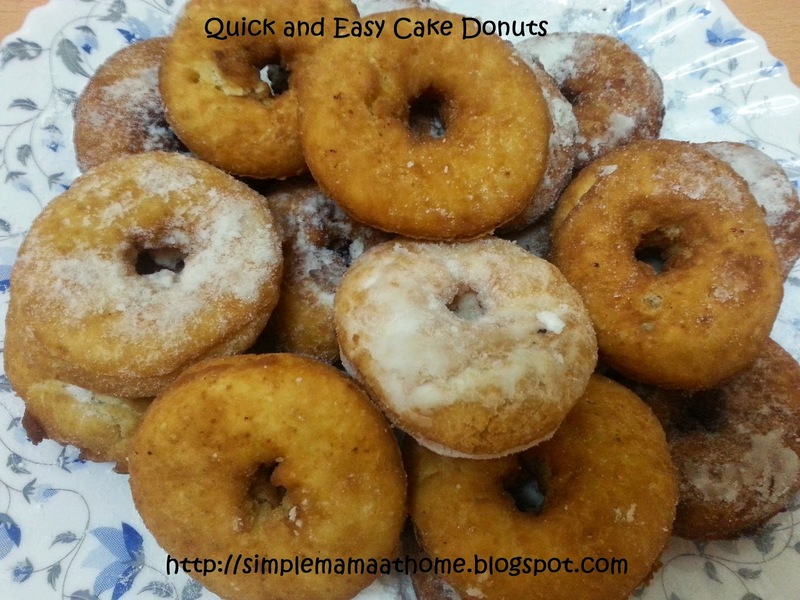 I love cake donuts so I'll have to give your recipe a try! these look so easy, and delicious!